Parenting Dialogue | Make this summer the best one with your children! 01 Oct Make this summer the best one with your children! 1. Set aside some time every day to have fun, laugh and giggle with your child. Connection daily is the most important. Whether it’s running through the sprinkler together on a hot afternoon or counting the stars on a blanket in the backyard before bedtime, do at least one thing a day to connect and have fun. Remember, what matters is always how it FEELS, not how it LOOKS. 2. Make sure that the structure is still there. Research shows that kids get stressed during the school year from academics, homework, the social scene, and all the activities. They really need time to chill and relax. But they also need structure, meaning they need their day and week to have some kind of a plan so they know what to expect. For instance, every morning after we play, we do errands or pick up the house together for an hour, every afternoon we do an outside activity and every night we read a story and have a cuddle together. 3. Commit to enjoying your life this summer and try to relax. Children pick up vibes. If you’re stressed, they’ll be stressed, and they’ll fight with each other and drive you crazy. Even if you have to go to work, can you find a way to dial down your stress for the summer? And if you’re lucky enough to be home with the kids, don’t you deserve a fun summer as much as your children do? Stay positive and fun, this will create a relaxed, happy mood in your house. 4. Help your kids develop a healthy relationship with time. 5. Encourage your child to try something new this summer. Encourage your children to try something new. This will give them experiences that they could learn from. They can be active or more creative; they can make friends and feel good about their successes. Maybe they want to join a freebee team, a self-defense class, or horseback riding. Maybe they want to write a play and ask their friends to be in it. What about joining a summer camp for a week in a different language? 6. Limit technology to certain times of the day. When kids are bored and it’s hot outside, screen time has a way of swallowing up all their time. It may be a good babysitter, but we all know that’s not what kids need. The more you limit screen time, the better kids get at finding creative things to do with their time — and the less they bug you to watch TV or play computer games. 7. 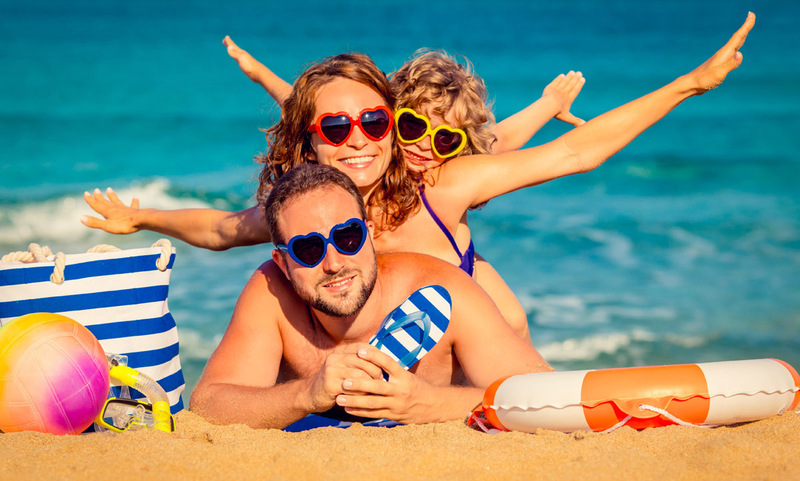 Plan some fantastic family memories, even if you don’t have the money or time to head off on vacation. Don’t wait. The key is to get out a calendar and schedule the things you really want to do. Buy a badminton set and have a weekend tournament for all your friends and family, complete with a potluck barbecue. • Set up a water festival in your backyard that includes dunking, running through sprinklers, a water balloon toss game, a slip ‘n slide, and a water balloon fight. Let your kids invite all their friends, and invite a few of yours, too. Celebrate the end of the day with watermelon. • Rent bikes and follow a local bike path you’ve never been on. Stop for ice cream cones. • Go to bed really early some night when you’re tired, and get up for the sunrise. Bring donuts and coffee. You get the idea. Encourage your family to come up with their ideal scenarios and make a few of them happen. Be sure to take lots of pictures. 8. Put wonderful summer memories in a special book. On rainy days, the children could learn to make a little memory book of each activity. There are a lot of different programs you can use for free on the web. You can also print out your favourite photos and make a little scrap book together. Let the children decorate the pages and write their comment. Enjoy the summer and your beautiful children!